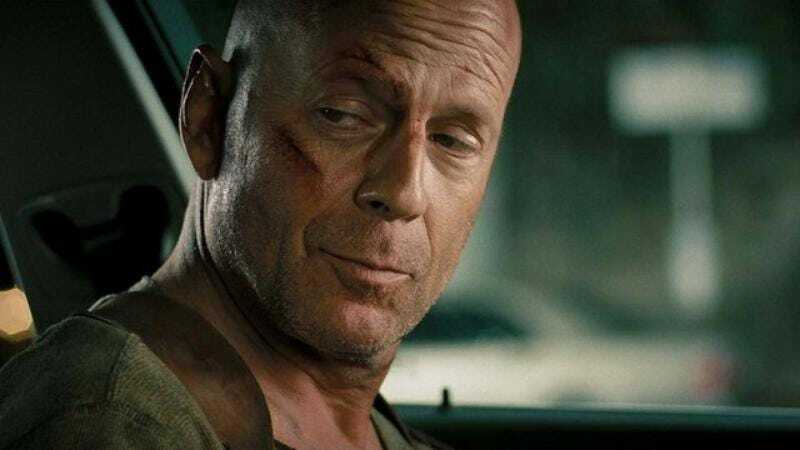 Bruce Willis has signed on to play a pivotal role in an upcoming Chinese-language World War II epic called The Bombing, Variety reports. The inclusion of Willis in the $90-million film—one of the most expensive in China’s history—is part of an ongoing effort to bolster the profile of the Chinese film industry. Remember when China got its very own version of Iron Man 3, complete with a few extra minutes of footage featuring famous Chinese stars? That’s now a two-way street, with producers of Chinese films also hiring famous American actors to play English-language roles necessary for—or shoehorned into—the story. (Look no further than Adrian Brody’s amazing wig in the trailer for Dragon Blade for evidence of this.) And Willis’ star power is as blinding as ever in China, where his film G.I. Joe: Retaliation made nearly $54 million of its $376 million worldwide take and The Expendables 2 took in $53 million of its $305-million-plus global haul. The Bombing, which is jointly funded by the state-operated China Film Group and by private investors, is a dramatic retelling of how the Chinese people weathered the Japanese bombing of the city of Chongqing, which began in 1938 and lasted more than five years. At that time, China had fighter planes, but it lacked the pilots necessary to fly them and had to rely on American volunteers for instruction. Willis will portray one of these volunteers, who likely will be grizzled, sassy, and perpetually trying to patch things up with his estranged wife. Willis will shoot for eight days during production this month, and the film is due to premiere in China at the end of the year.